Patience. 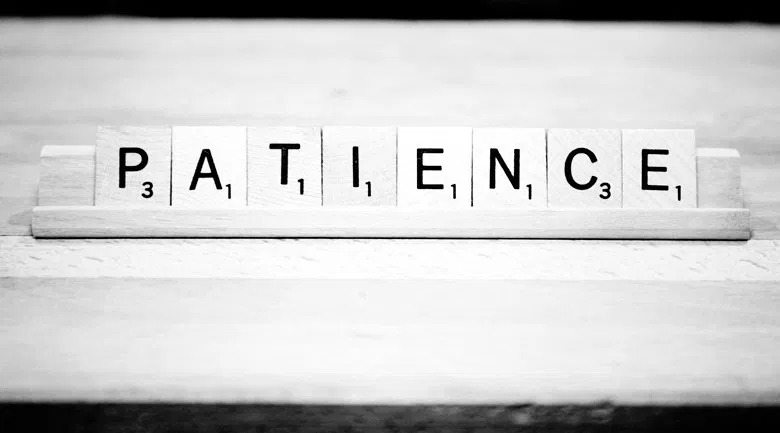 When conducting a job search, patience is a virtue. When conducting a job search during long term unemployment, it’s a necessary evil – something that’s seemingly unattainable, yet still touted by everyone as a must have. Patience is easy to come by when nobody responds to any/all the applications that I send out. I build up my little defensive wall to protect myself, and the grinding wheels of the process just move along. I just keep sending out applications and go about my merry way, telling myself that I’ve done my part (and screw them anyway!). I’ve found patience most difficult, then, during the times when I’ve actually heard back from employers. Getting a phone interview knocks down the wall and opens me up to hope. And hope is a patience killer. Hope kicks up the anxiety a few notches, because it seduces me into picturing what it might be like to get the job. Usually (almost invariably) the phone interview goes well. This is a double-edged sword. I’m glad I don’t fold under the pressure of phone interviews, but a pernicious side effect of hope at this stage is a narrowing of focus. The temptation is to focus solely on the employer that’s responded, at the expense of continuing to pursue new leads. This, of course, is foolishness rather than hope. After the successful phone interview, patience becomes threadbare from the near constant back and forth in my head as I anticipate the next email/phone call with information about the next stage of the courtship ritual. What was once abstract regarding job location, potential relocation, etc., becomes oh so slightly more (and more enticingly) tangible with an on-site interview. Patience becomes even more difficult after the on-site interview (that generally signals making the finalist stage of the dance competition). Seeing the potential workplace, meeting the people, and hearing more particulars about the position all combine to make a heady brew of tangible feelings – feelings that make patience almost impossible during the interminable wait for results. And if it wasn’t bad enough that I’m riding this emotional rollercoaster, so is my family – the people who love me, want to see me get back to “normal,” and who want their own lives to get back to normal. This whole process taxes them as well (after all, they need patience & get hope, too…). It wounds us all when things don’t work out, and we have to wait for the whole process to start over again. Which is the way it is, and has to be.